Betrayal is one of the most traumatic experiences one can ever have in life. 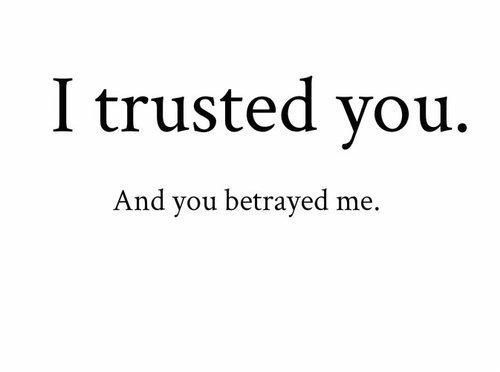 Betrayal not only breaks trust but it also breaks heart. 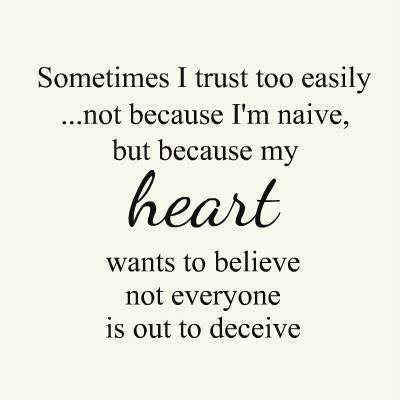 The person who suffers this agony can never trust anyone easily. A betrayal can shake the soul of a person and becomes fatal when it comes from a loved one. 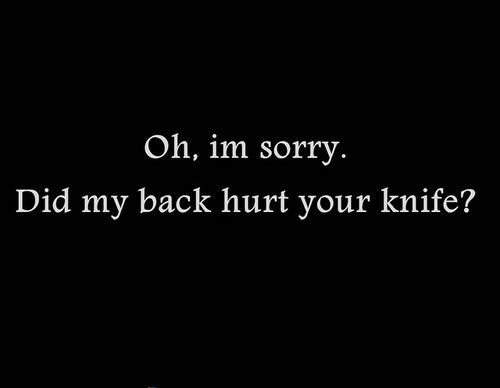 I really wish no one have to suffer the pain of betrayal ever. Now let’s have a look at some quotes about betrayal. The betrayal mostly comes from your nearest and dearest ones. 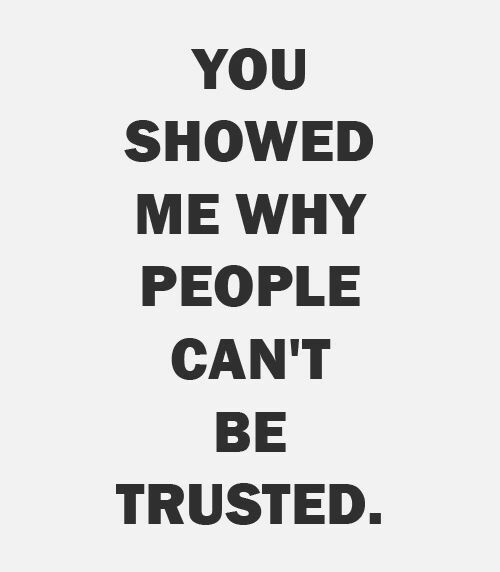 People betray you just to make them feel better. 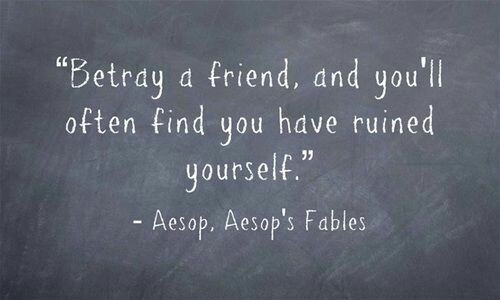 Betraying a friend cannot bring any good to you. 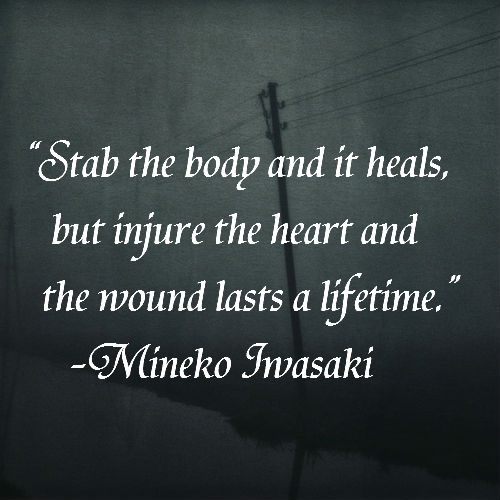 A heart wounded by betrayal can never be healed. My heart is still hoping for loyalty in this cruel world. 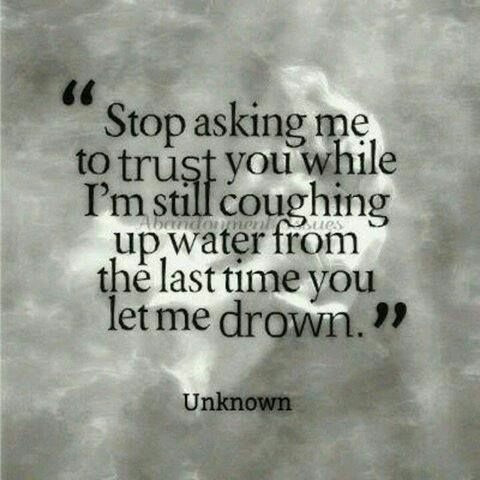 It's hard but don't lose your trust because of a bad betrayal in life. The most dangerous people are those who hurt you and then pretend to be innocent. I am hurt by those whom i tried to protect the most. Never trust someone who broke your trust for their own good. I really don't deserve your betrayal. 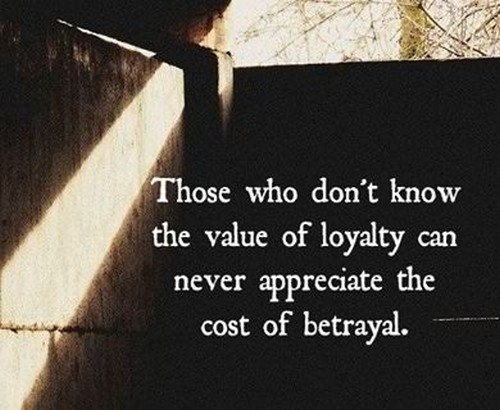 If you can feel the pain caused by betrayal of a loved one,you will never betray someone. Sometimes a prey acts as a victim. 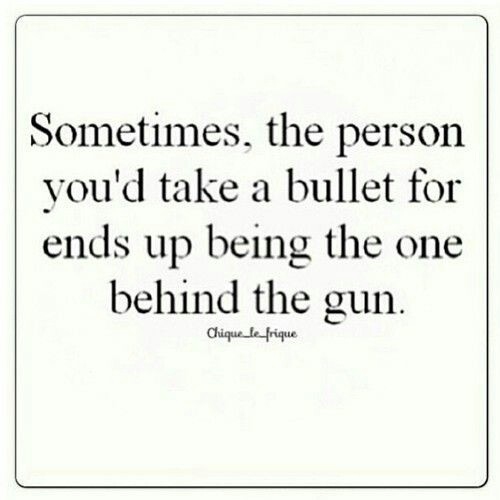 Some people comes in our life as a lesson. A betrayal from a loved one can never be forgotten. Lack of loyalty indicates lack of moral values in a person. Loyalty is the real asset of life. If you got it, keep it. 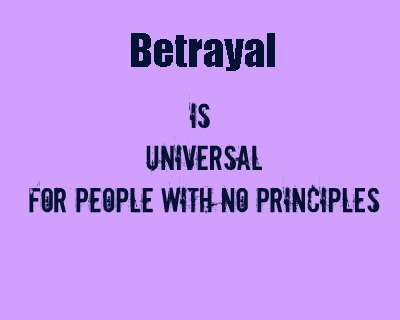 A betrayal can never be recovered. Betray starts from little lies. 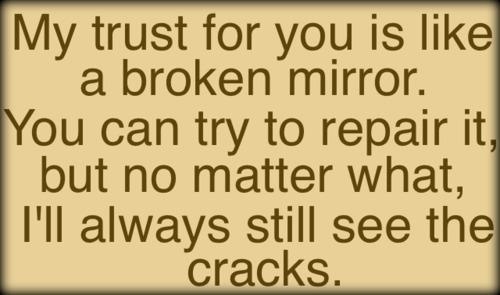 You can try to repair the lost trust but can never fill the cracks as these quotes about betrayal indicate. Betrayal is actually a weapon of a coward person. Nowadays it is not easy to avoid betrayal. 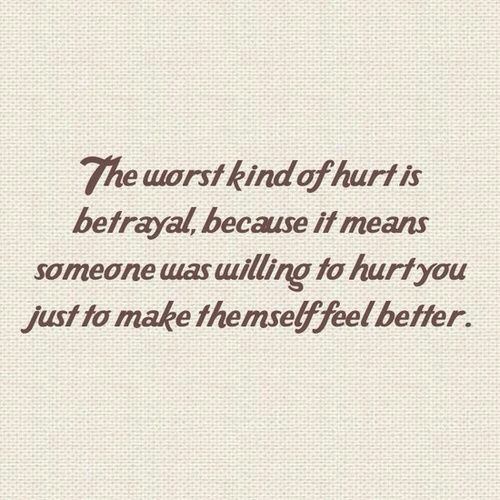 The worst pain is the betrayal of a friend. People don't change with time they just show their true face. This is the story of most of the relations nowadays. 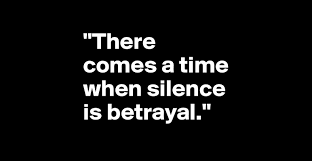 Silence is also a form of betrayal. Even devil can sense the agony of a betrayal. Server responsed at: 04/19/2019 10:58 p.m.